Law Web: Whether principle of Blue Pencil is applicable to Arbitration proceeding? Whether principle of Blue Pencil is applicable to Arbitration proceeding? either on his own account or on that of any wife of his or in partnership with or as assistant, servant or agent to any other person, persons or company carry on or be in any way directly or indirectly concerned in any of the following trades or business, that is to say, the trade or business of a tailor, dressmaker, general draper, milliner, hatter, haberdasher, gentlemen's, ladies' or children's outfitter at any place within a radius often miles of. Kidderminster. The defendant, however, subsequently set up business as a tailor at Worcester, outside the ten-mile limit, but obtained and executed tailoring orders in Kidderminster. When the plaintiff brought an action, it was contended by the defendant that the agreement was illegal and could not be enforced. The Court, however, held that various parts of the contract were severable and valid part thereof could be enforced. Upholding the argument of the plaintiff and granting relief in his favour, the Court observed that the courts would sever in a proper case, where the severance can be made by using a "blue pencil". But it could be done only in those cases where the part so enforceable is clearly severable and not where it could not be severed. By such process, main purport and substance of the Clause cannot be ignored or overlooked. Thus, a covenant "not to carry on business in Birmingham or within 100 miles" may be severed so as to reduce the area to Birmingham, but a covenant "not to carry on business within 100 miles of Birmingham" will not be severed so as to read "will not carry on business in Birmingham". The distinction may appear to be artificial, but is well settled. The Apex Court has observed that it is no doubt true that a court of law will read the agreement as it is and cannot rewrite nor create a new one. It is also true that the contract must be read as a whole and it is not open to dissect it by taking out a part treating it to be contrary to law and by ordering enforcement of the rest if otherwise it is not permissible. But it is well settled that if the contract is in' several parts, some of which are legal and enforceable and some are unenforceable, lawful parts can be enforced provided they are severable. 11. Applying the test of severability, as laid down in the afore stated decision to the facts of the present case, the agreement between the parties, the italic part as demonstrated in the arbitration agreement, already quoted above, can be severed or marked with "blue pencil". The remaining part of the arbitration agreement survives and there is no infirmity of any kind whatsoever. It does not amount rewriting the contract nor it is in the nature of de novo contract. The intention of the parties is explicitly clear that they have agreed that the dispute, if any, would be referred to an arbitrator. To that extent, therefore, the agreement is legal, lawful and binding. The offending part of the said agreement already delineated above, can be separated and severed by using "blue pencil" on the principle of law as propounded by the Apex Court in the afore stated decision. 1. This is an appeal under Section 39 of the Arbitration Act, 1940 against the order dated 6-4-1985 passed by Civil Judge III Meerut in O.S. No. 310 of 1978. 2. Vinod Kumar the respondent herein, filed an application under Section 20 of the Arbitration Act for referring the dispute having arisen between the parties to an arbitrator as per the arbitration Clause incorporated in hire purchase agreement dated 23-5-1975. The application was filed on the pleas inter alia that the plaintiff is carrying on finance business under the name and style of 'M/S Vinod Financier' in proprietorship. He advanced a sum of Rs. 36,000/- as finance to the defendant No. 1 in pursuance of the hire purchase agreement dated 23-5-1975. Sri Ram Singhal the appellant No. 2 herein, stood guarantor for repayment of the loan. The money was to be repaid in 24 monthly installments of Rs. 1,500/-. According to the plaintiff, the defendant No. 1 failed to repay the amount as per the terms of the hire purchase agreement. Consequently, he sought to refer the dispute to the sole Arbitrator, Prem Shanker Kapoor, Advocate or his nominee, but the defendant No. 1 refused to accept Sri Ram Shanker Kapoor as Arbitrator. Hence, the application under Section 20 of the Arbitration Act, 1940 was filed. 3. The defendant No. 1 contested the said application for appointment of Arbitrator on the pleas inter alia that no hire purchase agreement between the parties exists. He came out with the case that the plaintiff obtained signatures on some blank papers and denied the plaint allegations and submitted that the alleged vehicle, which was subject matter of hire purchase agreement, has been transferred to one Devendra Sharma who is a man of the plaintiff. 1. Whether the defendants executed the agreement deed in suit? 2. Whether any dispute has arisen between the parties? If so its effect? 3. Whether the plaintiff is the sole proprietor of the firm? 5. Whether it was agreed between the parties to appoint Sri Prem Shanker Kapoor, Advocate or his nominee as sole arbitrator in case of any dispute between the parties? Under issue No. 1 it was held that the defendants executed the agreement in question. Under issue No. 2 it was held that the dispute, has arisen between the parties, is referable to the Arbitrator for arbitration. Under issue No. 3 it was held that the plaintiff is sole proprietor of the firm. Under issue No. 4 it was found that appointment of Prem Shanker Kapoor, Advocate or his nominee was not agreed between the parties. The application under Section 20 of the Arbitration Act was allowed and one Sri Magan Behari Maheshwari, Advocate was appointed by the court as an Arbitrator. 5. Feeling aggrieved by the said order, the present appeal is at the instance of the defendants. 6. The main plank of the argument of the learned Counsel for the appellants is that the alleged arbitration agreement is void because of uncertainty. He submits that since the name of the Arbitrator has been left blank in the agreement in question, the agreement is void in view of Section 20 of the Contract Act read with Section 93 of the Evidence Act. 7. Learned Counsel for the respondent, on the other hand, supports the order of the court below and submits that the agreement in question is legal and binding on the parties. Its validity will not be affected even if name of the arbitrator has been left blank in the agreement in question. 8. Considered the respective submissions of the learned Counsel for the parties. Before proceeding further, it is relevant to reproduce relevant Clause in the agreement in question. The said arbitration Clause has been reproduced in paragraph-4 of the affidavit filed in support of the stay application. All questions, disputes, differences or claims between the parties hereto or their representatives arising out of and in connection with this agreement shall, at the owners' sole discretion and not otherwise be referred to the sole arbitration of Shri...or his nominee at Meerut for arbitration in accordance with Indian Arbitration Act 1940 or any statutory modification thereof. The question for consideration before me is whether the arbitration Clause is legal, valid and enforceable. (1) A written agreement, (2) existence of dispute, present or future and (3) intention of the parties to submit the present or future dispute to arbitration. The aforesaid Clause itself provides that whether an arbitrator is named in the agreement or not, is not of any significance. The arbitration agreement does not necessarily require that an arbitrator is to be named therein in the agreement itself. Now coming to the arbitration clause, the execution of which has not been denied by the learned Counsel for the appellants during the course of the argument, shows that the arbitrator was to be appointed at the sole discretion of the 'owner'. Owner here means, as pointed out by the learned Counsel for the appellants, the financier i.e. the plaintiff respondent. It follows that the defendant appellants have no say in the matter so far as the choice of arbitrator is concerned. The defendants willingly and knowingly agreed that the dispute, if any, arisen between the parties shall be referred to the arbitrator appointed by the plaintiff respondent. 9. The sole contention of the learned Counsel for the appellants is that since in the present case, name of the arbitrator has been left blank, the arbitration Clause has become void. The said argument ignores the fact that it is not necessary that in an arbitration agreement name of the arbitrator should necessarily be mentioned in the agreement itself. There is nothing peculiar or extraordinary about arbitration agreements and the same rules of construction and interpretation apply to such agreements as apply to agreements generally. The Court has to seek to give effect to the intention of the parties as evidenced by the agreement itself, without being over-technical in its interpretation. Such intention must be gathered from the whole context, even though the immediate object of the enquiry be the meaning of an isolated clause. The aspect that an arbitration agreement has the effect of ousting the jurisdiction of the established Courts of law should not be given undue weight in view of the other aspect that the settlement of disputes by arbitration is not deemed to be contrary to our public policy, but is a recognised method for settling disputes in which the parties create their own forum, pick their own judges, waive all but limited rights of control by courts, dispense with the unnecessary technicalities of rules of evidence and procedure and leave the issues to be determined in accordance with the sense of justice and equity they believe their self-chosen judges possess. It follows thus that an arbitration agreement is at par with all other contract and same rules of construction and interpretation apply to such agreements as apply to agreements generally. It was held that mere absence of name of the arbitrator will not necessarily have effect of taking an agreement out of category of arbitration agreement if otherwise the intention of the parties to agree to arbitration is clear. Naming of arbitrator in the arbitration agreement is not necessary and in any case it would not make it non-existent. No particular form of arbitration agreement has been provided for either under the Act or in the Rules. It is not necessary that an agreement should use particular words. 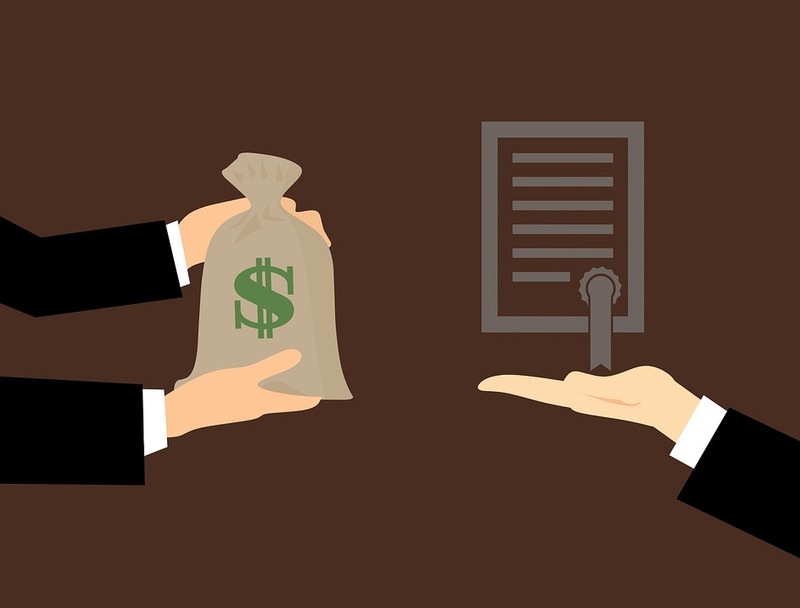 If the agreement is in writing and intention to refer the dispute, present or future to a person for arbitration is clear, it is an arbitration agreement as per definition as contained in Section 2(a) of the Arbitration Act. Respectfully following the aforesaid decision, I find no merit in the argument of the appellants' Counsel that the agreement in question is void because of uncertainty as the name of the arbitrator has been left blank. Even if the name of the arbitrator was not mentioned in the arbitration clause, the validity of the arbitration agreement can be upheld by invoking doctrine of severeability. If the said Clause which has been left blank is ignored, the remaining part of the Clause will definitely amount an arbitration agreement. 430. Severance of illegal and void provisions- A contract will rarely be totally illegal or void and certain parts of it may be entirely lawful in themselves. The question therefore arises whether the illegal or void parts may be separated or 'severed' from the contract and the rest of the contract enforced without them. Nearly all the cases arise in the context of restraint of trade, but the following principles are applicable to contracts in general. First, as a general rule, severance is probably not possible where the objectionable parts of the contract involve illegality and not mere void promises. In one type of case, however, the courts have adopted what amounts almost to a principle of severance by holding that if a statute allows works to be done up to a financial limit without a licence but requires a licence above that limit, then, where works are done under a contract which does not specify an amount but which in the event exceeds the financial limit permitted without licence, the cost of the works up to that limit is recoverable. Secondly, where severance is allowed, it must be possible simply to strike out the offending parts but the court will not rewrite or rearrange the contract. Thirdly, even if the promises can be struck out as aforementioned, the court will not do this if to do so would alter entirely the scope and intention of the agreement. Fourthly, the contract, shorn of the offending parts, must retain the characteristics of a valid contract, so that if severance will remove the whole or main consideration given by one party the contract becomes unenforceable. Otherwise, the offending promise simply drops out and the other parts of the contract are enforceable. 12. In the present case it may be noted that naming of a person as arbitrator is in the sole discretion of the plaintiff respondent and the defendant appellants, under the agreement, cannot raise any objection. On this ground also, the validity of the arbitration agreement is upheld. 13. Lastly, it was submitted that in view of Clause (4) of Section 20 of the Arbitration Act, it was incumbent upon the court to have the consent of the defendant appellants with regard to the name of the person to be appointed as arbitrator. Emphasis was laid on the words "where the parties cannot agree upon an arbitrator" occurring in Sub-clause (4) of Section 20 of the Act. The interpretation put by the learned Counsel for the appellants, on a close reading of the said Clause of the afore stated words is not correct. The said Clause provides only this much that the court shall order filing of the arbitration agreement and shall make an order to the arbitrator appointed by the parties or where the parties cannot agree upon an arbitrator, the court will appoint an arbitrator. It does not provide that the court before making appointment of an arbitrator shall obtain consent of the parties with regard to the name of the person to be appointed as arbitrator. In all, the said Clause does not suggest so. On a plain reading, it is clear that power has been given to the court to appoint an arbitrator and refer the matter to him even if the parties do not agree for the name of a person as an arbitrator. Even otherwise also, on the facts of the present case, if the said argument is accepted, the position of the defendant appellants would be better if a proceeding is initiated under Section 20 of the Act by inviting his objection/proposal for the name of the arbitrator. Under the arbitration agreement, it may be noted, the sole discretion is given to the plaintiff respondent to appoint an arbitrator of his choice. 14. In this fact situation, it is difficult to accept the aforesaid argument of the appellants' counsel. No other point was pressed.